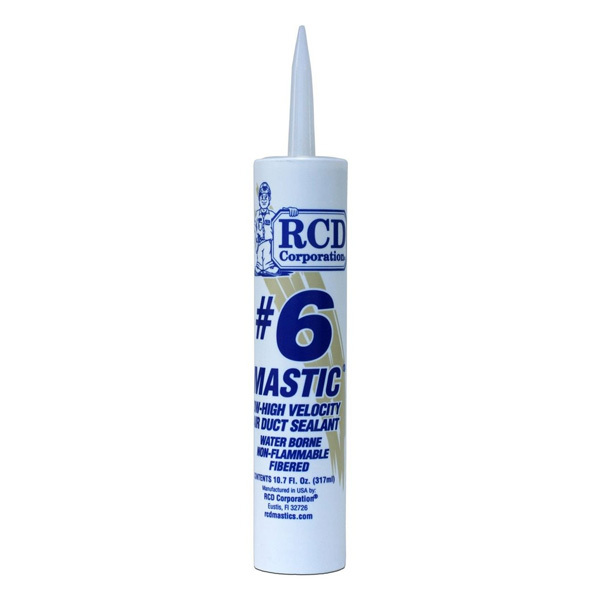 RCD Corporation #6 Mastic seals all air duct types including UL listed air ducts, thermal insulation, and crawl space vapor retarders. Easily applied by brush, trowel, palm, spray or extrusion. The color is Cream White. Store at temperatures between 45 F and 90 F. Apply at temperatures between 35 F and 120 F.
A durable multi-use caulk for the professional contractor made to perform in some of the toughest applications found during new home construction. Ideal for window/door frames, countertops, baseboards, eaves, siding, thresholds, trim, vents, railings, and joints. Not recommended for marine use. Excellent adhesion to painted and unpainted wood, drywall, masonry, plaster, ceramic, glass, brick, metal, and concrete. This 18-inch long natural bristle brush with a 2 inch wide angled head and wood handle is perfect for reaching those places that are difficult to reach with regular brushes.